I'm hosting another of my online AMA - Ask Me Anything - sessions tomorrow. It starts at noon, Central Time, and runs for about an hour-and-a-half. (I started out scheduling them for an hour, but they've always ended up running over due to the number of questions and comments that I end up getting). Here's the video page for the session - if you click through to it, you can set yourself a reminder so that you don't miss the event. If your goal is to get one of your questions asked and answered, you'll probably want to get there early in the session. As the time goes on, the comments and questions start to come in faster and faster, and when I realize we're close to the end of the session, I start looking for ones I can answer fairly easily to cap it off. I've never succeeded in getting to all of the questions and comments in any given session. The work involved in these free online events are underwritten by my Patreon supporters. Their pledges help me earn a living for myself and my family doing work I love - making philosophy accessible to people of all walks of life, all over the world. If you'd like to become a supporter, here's where you can do that. Coming up at Noon (Central Time) today, we have a new video premiere, this time for the one you see below. It is designed to help those who want to study Plato on their own - not enrolling in a traditional academic institution - get started and get the most out of their studies. Years back, I shot a similar video specifically on self-directed study of Plato, intending for it to be the first in a series that would focus on self-study of important philosophers. I was never quite happy with that initial foray on my part into providing this sort of advice (which I get asked for a lot), and I didn't end up following up with that projected series. That's changing now, with this new video. Next month, I'll create the next one, about Aristotle, and then another, most likely on the Stoics, and then many, many more going forward to present-day thinkers. If you join me at the premiere, you'll not only be one of the first people to get to see it. You'll be able to ask questions and make comments in real time. And I'll be there, doing my best to answer and respond to them. If you click on the video just below, that will take you to the actual page where the premiere happens. I hope to see some of you there, and chat with you, in the premiere session! This semester, I am teaching Descartes' Meditations on First Philosophy in my Foundations in Philosophy classes at Marquette University and in my Introduction to Philosophy class at Milwaukee Area Technical College. Although I am by no means a Cartesian, Descartes is among thinkers I consider a philosopher of the first order of importance. His works are also quite enjoyable to read - at least for me! - both in their original Latin and French and in English translations. When I have the opportunity to teach a thinker and text upon whom I have yet to create core concept videos, I typically try to shoot at least a few as resources for my students. They end up getting viewed and used by others as well - the general public interested in philosophy, students at other institutions, and even some professors and institutions who incorporate them as resources for their own students. I managed to shoot a sequence of videos getting through the first half of the Meditations (I'm hoping to get to the other half either later this month or during the summer). I've released all of the videos covering key ideas, distinctions, or arguments in the first two Meditations, and am in process of gradually rolling out those on Meditation 3. 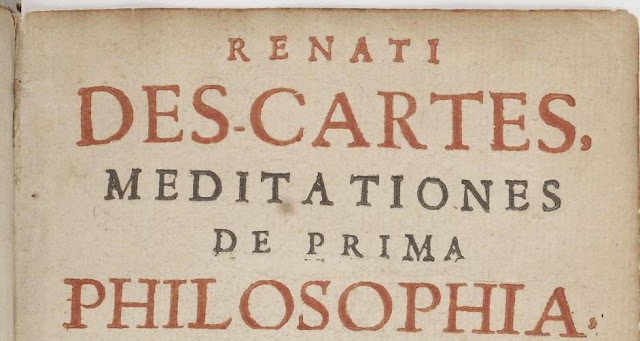 So if you'd like to work your way through those first two Meditations, with the help of an expert who has been studying and teaching Descartes for decades, here you go! These comprise about an hour and a half of focused lectures that will help you better understand - and get the most out of studying - this challenging but rewarding text. If you find the philosophy resources I develop interesting, enjoyable, or useful, by all means share them with others. And if you'd like to support the work that I do, making philosophy publicly accessible, you can become a monthly supporter on my Patreon page, or if you prefer a one-time donation, you can Buy Me A Coffee! 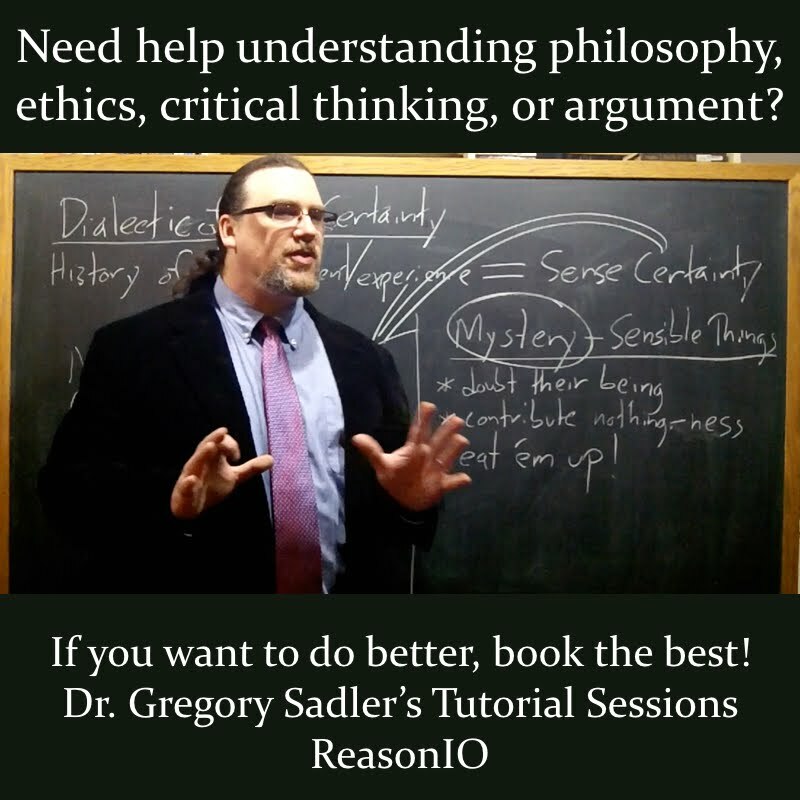 Some time back, I started a new video series - Sadler's Honest Book Reviews - devoted to reviewing recent books purporting to be about philosophy and its intersections or applications to life. So, practical philosophy, leadership, self-help, productivity, organizational behavior - all of those fall within the broad purview of the series. Last weekend, I shot another review, this time of a book that is for the most part by the Stoic philosopher, Epictetus, and also in part by its editor and translator, the great contemporary scholar of Hellenistic philosophy, A.A. Long. It is called How To Be Free: An Ancient Guide To The Stoic Life, and it contains the entirety of the Enchiridion and nine passages from the Discourses, all translated by Long. He also contributes a short but excellent introduction to the work, and provides readers with a glossary. I've got much more to say about this book - about 20 minutes worth, as it turns out - so if you'd like to learn more about it, check out this video book review. If you'd like to watch any of the other reviews in the series, here's the playlist. Why Stop With Descartes' Second Mediation? Here's a topic that I'll flesh out more fully in a fuller-length piece in my Medium site, hopefully later on this week - something that came first as a complete surprise to me, and then transformed into understandable dismay: apparently, it is quite common for philosophy instructors to assign and teach only the first two of Rene Descartes' six Meditations on First Philosophy. I discovered this when posting my recently released core concept videos focused on that very work. People made comments that I thought were rather strange on the videos themselves and in the social media where I posted those videos. Comments that sounded almost as if the people making them were familiar with Descartes' methodological doubt, the idea of the evil demon deceiving us, and the notion of the human being as thinking substance - but had no idea about all the other key ideas, arguments, distinctions that followed in the work. When you stop short at that point in the work, then Descartes appears as a super-skeptic, or at the very least a skeptical idealist. What ends up getting left out are: discussions about where our ideas come from, and whether we could be their unwitting source; an interesting argument for God's existence (and very much the "philosopher's God"); the invocation of clear and distinct ideas or conceptions as an epistemological criterion; consideration of how ideas can be true or false and where in the use of faculties falsity arises; an ethics of the use of the mind; exploration of the stock of innate ideas we have at our disposal; another, ontological argument for God's existence; reconstruction of the entire external world of extended substances. . . and a few other things. This bears more reflection on my part, which I hope to get to later this week. I'll likely ask instructors who do teach just Meditations 1 and 2 in my social media whether they can provide some illumination on this matter as well. Lawrence Kohlberg was a psychologist particularly interested in human moral development. 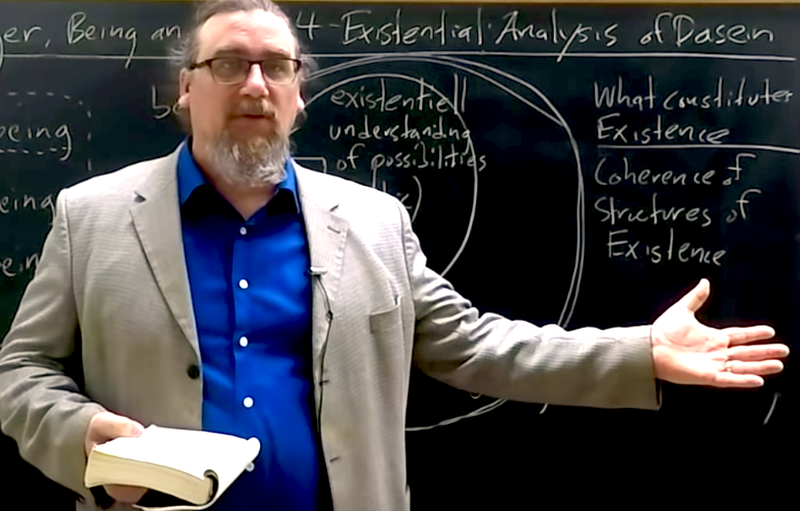 His six-level model has ben incredibly influential not only in the fields of psychology and education, but also in philosophy, where it is regularly taught and discussed in ethics classes. Since I was teaching him early on in my Ethics for Artists and Designers class at the Milwaukee Institute of Art and Design this semester, I decided to create some new core concept videos as resources for my students, knowing that they would also prove useful for the broader public. As a little known side-note (perhaps something I'll do some writing about down the line), we typically associate Kohlberg with the moral development of children in educational institutions, with general moral development of adults, or with the many critiques of his theory (particularly those leveled by his student, Carol Gilligan, in her book, In a Different Voice). One important area of his research - as I discovered when I was putting together a talk on my own experience teaching philosophy in that setting - was with prisoners and correctional officers. If you find these useful for you, share them with others. If you'd like to support my ongoing work, making philosophy more publicly accessible, consider buying me a coffee, or becoming a monthly supporter on Patreon. The first half of my academic career, I held the rank of Assistant Professor. While I taught for Ball State University in their extended education program - teaching Philosophy and Religious Studies classes at Indiana State Prison - that was the highest rank I could attain, since I wasn't tenure track, but rather had yearly contracts. It was unfortunate, since given my publications at the time, I would have been eligible for promotion early on. I taught for Ball State for six years, then after the Indiana DOC phased out college prison education, I moved down to Fayetteville State University, starting there as an Assistant Professor as well. When I left after three years - moving up to New York, where my then-fiancee resided - I would have been ready to apply early for tenure and promotion to Associate Professor. Instead, from that point on, I taught as an adjunct, first for Marist College (pretty continuously from 2011 to last Fall), then for several academic startups (Oplerno, the GCAS), and now more recently here in Milwaukee for Marquette University, the Milwaukee Institute of Art and Design, and Milwaukee Area Technical Institute. Working as an adjunct is quite different in many respects from the much more secure, full-time, part-of-the-faculty status that comes with being a professor. With the exceptions of a few academic institutions and systems (and this largely results from strong unions), adjuncts generally aren't paid particularly well and enjoy few (if not no) benefits. They also can't count on continued employment. Occasionally, classes assigned to them - sometimes even classes they developed - are poached by tenure-track professors who decide they would like to take them. One place I've been teaching over the last year where adjuncts are particularly appreciated and thoughtfully taken care of, is the Milwaukee Institute of Art and Design. Then again, from what I can see, it's quite a well-run institution in general. Highly student centered. Administrators who clearly understand the mission of the school and who draw upon the talents of their faculty. Good lines of communication. All those aspects would already make it a good place to teach and work in my view. But they also do things right when it comes to adjuncts. In quite a few other places, if you are an adjunct, you're treated by tenure track faculty and administrators - though not by students (who often don't know who is an adjunct and who isn't) - as if you don't belong and are fortunate to be there at all. At MIAD, you are invited in to nearly everything. As far as I can tell, there's no divide existing between the full-time and part-time people. MIAD provides us an adjunct office, stocked with tea and coffee, and we are encouraged to spend as much time as we'd like on campus. The pay is good, and MIAD schedules upcoming classes well over a month before any of the other places I teach. I got an email recently reminding all of us that, as adjuncts, we could and should apply for increase in rank. 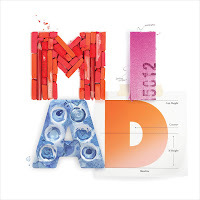 The ranks at MIAD are Lecturer, then Adjunct Assistant Professor, Adjunct Associate Professor, and then finally Adjunct Professor. Each of them represents a step up in status or title, but also an increase in payment per class. I looked over the requirements for each rank, and then had to email my chair, because I wasn't sure whether the number of credit hours taught referred to hours taught at MIAD or elsewhere. If just MIAD, I'd be at the lowest rank, but with 20 years of teaching, if the credit hours could be from elsewhere, I'd qualify for a much higher rank. She wrote me back and informed me of something I'd been ignorant of the entire time I've been teaching for MIAD. I came in at the highest rank. I've been listed as an Adjunct Professor this entire time. That was a welcome surprise to me! It may seem like something rather trivial, but I've refrained from calling myself a philosophy professor for years, since officially, I didn't have that title, and I'm a rather literal person who's a bit of a stickler about truthfulness. People would call me "professor", and sometimes I'd point out that technically speaking, I no longer could claim that title. Now, however, I can call myself and be called "professor" entirely in good faith. And it's a small thing, but that feels quite good to me.